That is a thing of beauty! Love how you fanned the avocado slices on the top. Lovely presentation. And I’m sure it was tasty! I like to fan avocado slices over my scrambled eggs. Sometimes with a good cream gravy inbetween. 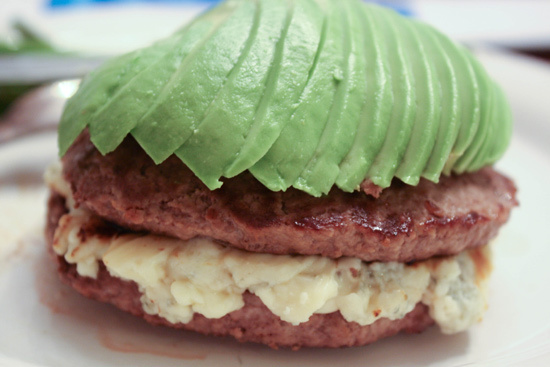 The mix of blue cheese and avocado is the best. This was a really, really awesome burger.